IL VOLO will be present at the Wind Music Awards 2018. The event will take place on June 5th at the Verona Arena, which on its historic stage will resound the notes of the greatest hits of recent months with the performance of the stars of Italian and international music. 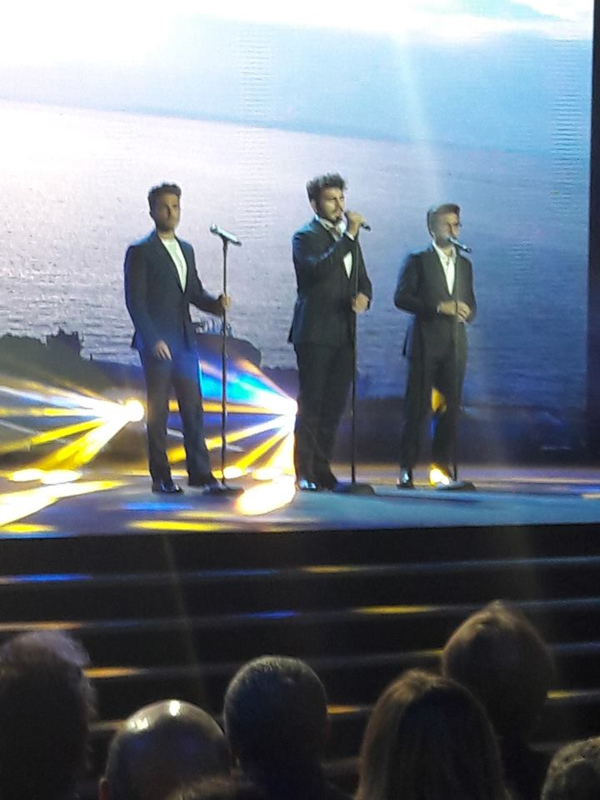 There will be many guests, and like all, even IL VOLO, will perform a single song. The question arises: What song will they sing ????? Since the WMA audience is essentially a young audience, that wants to move and dance, I hope that for that date, the new single has been published. So, I hope we will all be ready to dance with them! Credit to owner of the WMA photo. Are you going to be in Verona to see them? Thank you for the information. I do not think Jill, in these shows, there is too much confusion, the boys sing a single song, and there is full of gawky boys and girls who scream and dance and do not enjoy anything of the show, moreover, if you’re not in the first files, see everything from far away. I reserve all this for their concert !! I think that for now Laura, only one single will come out, later there will be the CD. The important thing is that something goes out and put an end to this long wait, it is from January that we expect at any moment to feel a new rhythm. I like how you phrased that, Daniela: “…to feel a new rhythm.” Nice ! I like how you often phrase your thoughts, ideas, etc. It’s original and even poetic at times. I wonder if that is an Italian talent with wording. Have noticed that Gianluca and Ignazio have a way of expressing their thoughts like that, too, at times. Perhaps it is the result of translating. Might also be that Europeans in general are a little different than native English – speakers in expressing themselves. Whatever it is, it can be interesting and enjoyable to read (and to hear) in English. Laura, it’s too nice, what you wrote. I assure you that I wrote the first thing that came to my mind as an answer. I’m very flattered to know that it can be a “nice way” for those reading! Hello Victoria, it is already a joy to see them, if we then hear this new project and we also see them dancing, it would be perfect. Have you seen their participation in the AMICI show? Me too Marie, too bad it’s just one song !! IL VOLO will take part in the concert of RADIO ITALIA SOLO MUSICA ITALIANA, a free event to be held in Milan in Piazza del Duomo, on June 16. I would say it’s a wonderful news. Yay. We’ll see our guys here too !! Il Volo Live at a Free event ! That’s super good. Even if they only sing one song there, at least a lot of people will be able to see and hear them at the free event, probably many for the first time. Looks like it might go on in the early evening. Hope they’ll all have nice weather and a really good time. Guessing that its broadcast via radio, too. 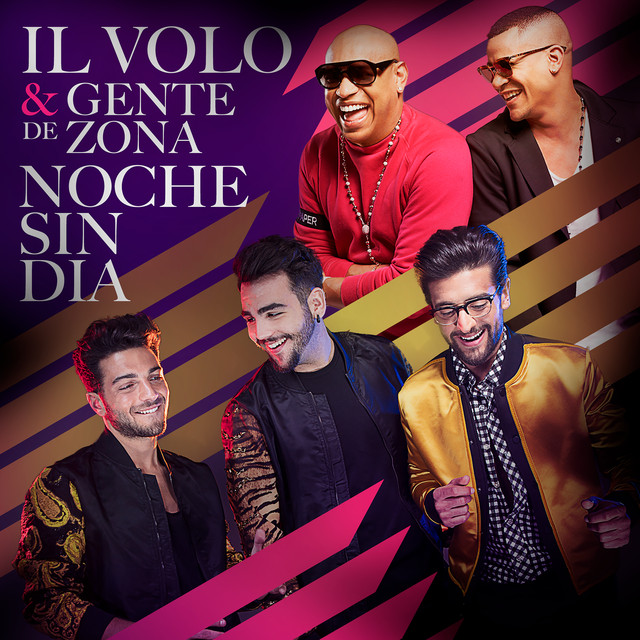 It would be great and as you say, very appropriate if Il Volo were to sing the new single at this event. They haven’t yet recorded anything that is not lovely, so i have every confidence that we will love the new songs. Your view on attending the event is interesting. We will be in Italy at that time and I thought about going. You have confirmed that it isn’t worth it, I’ll keep my energies for concerts. I presume it will be on Italian TV so that will be good. Hello Sue, undoubtedly it is a beautiful event, but for those who prefer to see all the chaos, certainly not for those who want to admire the boys close up. Look at the picture of Piazza Duomo in Milan, if you’re not close to the stage (down on the far right of the Duomo) you can not see anything, also I think there is only one song for each singer, so you risk being there for hours for a song, seen from afar, and felt, maybe bad. Television will show us all much better, and will let us watch backstage interviews, which there, we would not be able to see or hear. If you are in Milan or very close and want to see the atmosphere of this show, go see it. But if you are far away and you want to see, especially IL VOLO, I do not think it’s worth it. One thing that I have always appreciated in the concerts of IL VOLO, is that everyone has his place to sit, and there is no confusion of certain concerts, with pressures of people pushing and disturbances. It would be different to the Arena, but also there, the song is only one. This pirate will certainly be more than ready to dance, In fact, I think I would be a bit disappointed if I did hear something that will make me dance, if only on my sofa.. I expect to hear something new, Latin and calls me to stand up and MOVE! Hear! Hear matey! Somethiing to get off one’s backside and at least wiggle in place! Pirate, if everything is as they made us understand, you will move a lot from that sofa! Good Laura, get used to the rhythms that make us dance. Allene, I already have legs that move !! Thanks Laura, for explaining the formation of Gipsy King, I did not know all the implications, but I know the group, and their musical motif, always very danceable. I remember always seeing one of their LPs in our house. As for my photos as a dancer, I found the link. I’m not a guy who frequents discos and ended my adventure of classical dance (before getting married), I no longer, had the opportunity to dance. But I like ballet and I always appreciate a nice choreographic or single dance. As for the basic family setting, I fully agree with you, is the basis of all the education and growth of children.